Used car transactions fell 13.5% in Q2 2017 to realise a year-to-date sales decline of 5.1% following record breaking 2016. Seeming to contradict a shift towards used car sales by the AM100's largest groups, figures published by the SMMT this morning showed that used car sales were mirroring the decline of the new car market. 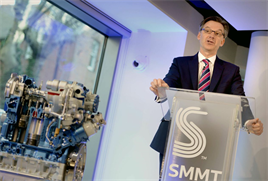 The SMMT said that diesel-powered vehicles remain popular in the used sector, however, with 1.6m bought in first half of 2017 – a marginal -0.1% decline – as AFVs generated a 24.2% boost. A total of 1,832,400 used cars changed hands Q2. 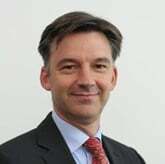 SMMT Chief Executive, Mike Hawes said: “With used car sales closely mirroring what we see in the new car market, last quarter’s decline comes as no surprise – and with demand easing over recent months, this could offer motorists the opportunity to get some great deals. Superminis remained the most popular used vehicle type during the period, with more than 600,000 buyers, accounting for a third (32.7%) of the market. Small family cars followed in the popularity stakes, with almost half a million changing hands. Minis and SUVs were the only two SMMT-defined segments to show growth – up 5.7% and 3.5% respectively. Black proved the most popular colour among used car buyers, with a fifth (21.0%) of motorists knocking silver off the top spot after several years at number one. Figures for the first half of the year also showed a small decrease in demand to 3,966,356 sales, -5.1% lower than the record levels seen in H1 2016 – again reflecting the trend in the new car market. The SMMT Said that demand for diesel cars had remained strong in the first half of the year with some 1,628,045 changing hands, a small -0.1% year-on-year decline. Meanwhile, petrol sales decreased -8.9% to 2,291,328 units, while alternatively fuelled vehicles (AFVs) rose 24.2% with electric cars enjoying particularly strong growth – up 79.3%. AFVs currently accounting for just 1.2% of the market. This Article has now been removed by SMMT.